Most of the Viet Film Fest screenings are $12. The Q&A Panel is free to attend and open to the public. 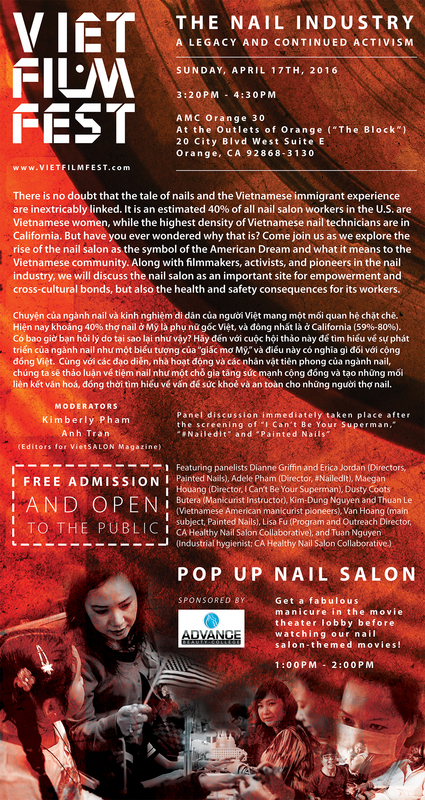 Please come out to support the Vietnamese nail community! This is a shortened version of Adele Pham’s thought-provoking documentary on the rise, struggle, stereotypes, and steady hold Vietnamese-Americans have on today’s eight billion dollar nail industry. Director Maegan Houang tells a surreal tale about a manicurist who is forced to resort to unconventional methods to fight off gangsters in the nail salon in which she works in this short film/music video hybrid. 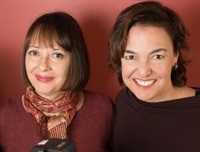 In this feature-length documentary, directors/producers Erica Jordan and Dianne Griffin follow Van Nguyen, a nail salon owner and worker in the Mission District of San Francisco, who becomes a resolute activist in the fight to regulate chemicals in personal care products, advocating for the safety of nail salon workers and their clientele after she herself suffers health issues. The moderators for the Q&A panel are VietSALON managing editor Anh Tran and senior editor Kim Pham (that's me!). We’re really excited for Viet Film Fest this year and can’t wait to see this year’s films. If you take a look at Viet Film Fest’s trailer, you’ll see a clip of our friend, Kelvin St. Pham, who appears in #NailedIt: Vietnamese & the Nail Industry. Viet Film Fest takes place April 14-17, most screenings will take place at AMC Orange 30 in Orange, Calif. For more information, visit www.vietfilmfest.com.